Add the flour and the baking powder, mixing well, as you do. 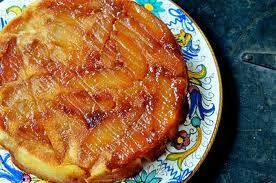 Stir in the flaked almonds, then gradually add the beaten eggs, to form a cake batter. Heat the butter in a medium non-stick, oven-proof frying pan, over a medium heat. When the butter begins to melt, add the sugar, and allow to begin to caramelise, then add the lemon juice. 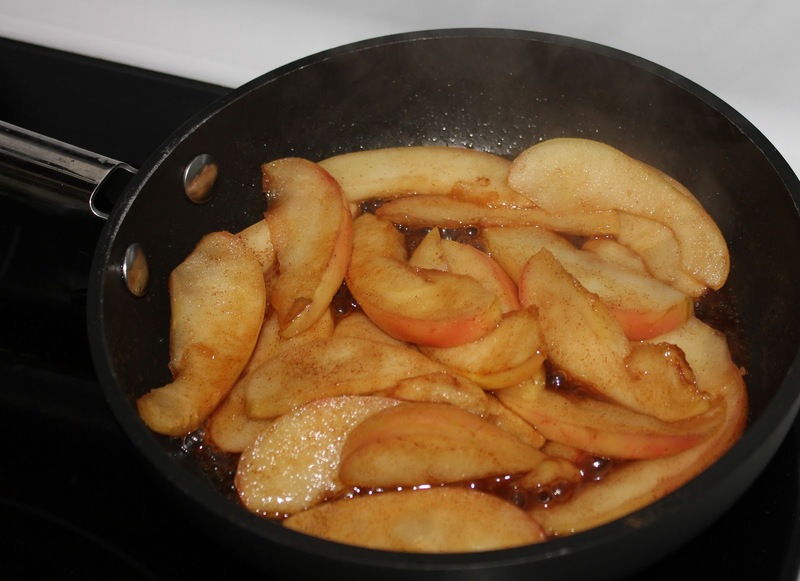 Add the quartered apple wedges to the pan, tossing well, to thoroughly coat them in the caramel, and continue heating through for two minutes. Pour the cake batter over the top of the apples, then place the pan into the hot oven, to cook for 10-12 minutes, or until golden.